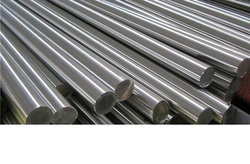 Leading Manufacturer of carbon steel round bar, ss round bar, ss 304 bright bar, ss 316 bar, ss 317l bar and ss 304 bars from Mumbai. The offered SS Round Bar is made by making use of the high quality stainless steel. These are highly praised for high strength and durability. Also, these are available in different dimensions of length, thickness etc. Further, these are tested on various quality parameters to deliver defect-free range to the clients’ premises. We are one of the well-known firms in the list of manufacturers and suppliers of SS 304 BRIGHT BAR . 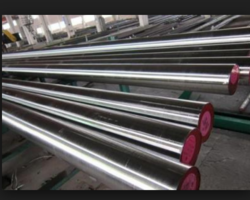 Our offered steel bar alloy has a good nickel content in the form of a solute or precipitate. 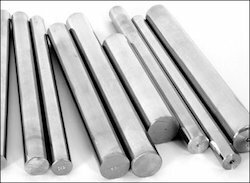 The offered steel bar alloy does not undergo the eutectic reaction and thus has got the desired properties of a hard steel material. We are one of the leading importers, suppliers, and exporters of high quality of SS 316 Round Bar to our valuable customers. These products are precisely designed and constructed by superior quality raw materials and sophisticated machinery. Our SS 316 Round Bar are highly appreciated for their seamless finish, rigid construction and abrasion resistance. 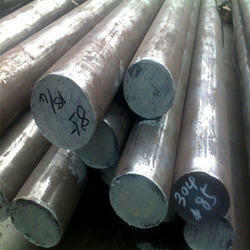 Range :DIA 5 MM TO 500 MM TO 6000 MM.TYPE :Round,Square,Hex(A/F),Bush,Rectangle,Flat,Block,Billet,Ingot. We are considered as one of the pioneers engaged in offering a huge gamut of Stainless Steel Bars. These are made of high quality stainless steel material. Our Stainless steel round bars find numerous applications in the construction industry as well as other commercial applications where strength reinforcement is necessary and forms a vital part of the construction. Metal bars are used to create various items such as nuts, shafts. Range :DIA 5 MM TO 500 MM TO 6000 MM. We are listed amongst the leading importers & suppliers of durable quality S S Round Bars. These bars find vast application in spin, shipping, automobile and engineering industries. Our products are widely acclaimed for their superior finish, dimensional accuracy and corrosion resistance. Further, to suit the variegated demands of clients, we are offering customization facility to them. Range: DIA 5 MM TO 500 MM TO 6000 MM. 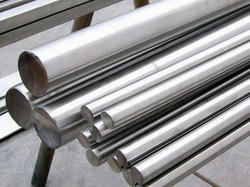 We supply and export a wide and qualitative range of Stainless Steel Round that find application in various industries. Our stainless steel round and square bars are widely appreciated for features like effective strength, corrosion resistance and high tolerance. We offer our range in various specifications as per industry specific requirements. 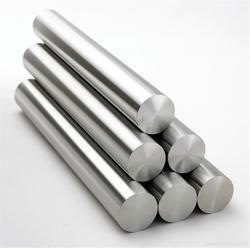 Keeping pace with advanced technology, we are distributor and supplier of various kinds of Alloy Steel Round and square bars which are used in various industries such as construction, agriculture and several other engineering industries. Based on the requirement of the clients. Aspired by the contemporary trends of markets, we are engaged in offering a qualitative assortment of Bright Bars. Keeping track of set industrial standards, our experienced vendors manufacture these products by making use of advanced machinery, modernize tools technology and superior grade raw material. Our products are appreciated by our clients all over the globe. Additionally, these qualitative products can be obtained at industry leading rates within the promised time - frame. 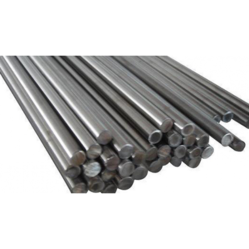 We are well-known manufacturer and supplier of this domain, we are offering a wide array of Stainless Steel Rods. These rods are manufactured using premium quality raw material and contemporary technology to meet various existing industrial quality norms. 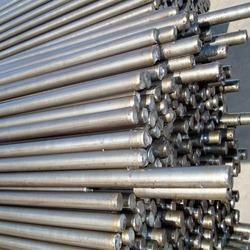 We offer these rods in standard as well as customize form to meet the diverse requirements of the clients. Apart from this, we offer these products at market price. Grade : 201, 202, 304, 304L, 316, 316L, 410, 420, 430, 431, 441, 409, 309, 310, 321, 2205, 2507. 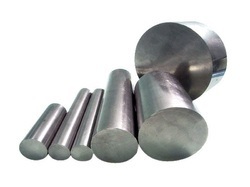 We are highly acclaimed in the industry for trading and supplying an optimum quality range of MS Flat Bar. For making truck trailers, tippers, railways, bus body, elevators and escalators, etc. We are considered as one of the pioneers engaged in offering a huge gamut of Stainless Steel Bars. These are made of high quality stainless steel material. 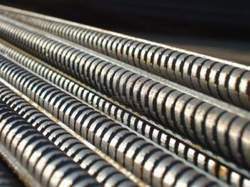 Our Stainless steel round bars find numerous applications in the construction industry as well as other commercial applications where strength reinforcement is necessary and forms a vital part of the construction. 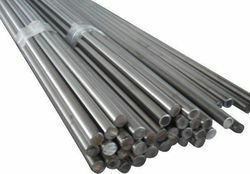 Metal bars are used to create various items such as nuts, shafts.Range :DIA 5 MM TO 500 MM TO 6000 MM.TYPE :Round,Square,Hex(A/F),Bush,Rectangle,Flat,Block,Billet,Ingot. 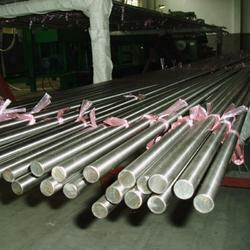 We are one of the leading manufacturers and suppliers of premium-quality Stainless Steel Bar. They are fabricated using superior-quality Steel at our modern infrastructure facility under the supervision of skilled engineers. They are available to clients in customized shapes and sizes. Owing to their dimensional accuracy, they are easy to install and require negligible maintenance. Their surface has a flawless finish. These bars are acclaimed for their resistance to corrosion and abrasion. We offer them to our esteemed clients in customized dimensions at affordable rates. They are quality-tested by professional auditors before dispatch to ensure optimum end-user satisfaction. Maintaining our name in delivering high quality products at reasonable prices hence we also present to you Stainless Steel 316H Bars. 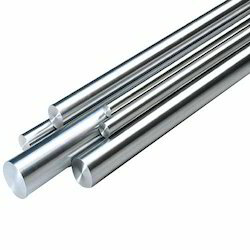 These stainless steel round bars are quality tested and passed as per international standards. 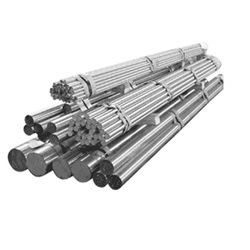 These bars are available at various sizes as per customer requirements and can be used as Ornamental tubes, Decoration construction, upholstery, industry machines in Petroleum, chemical industry, electric power industries. TYPE :Round, Square,Hex(A/F),Bush, Rectangle,Flat,Block, Billet,Ingot. 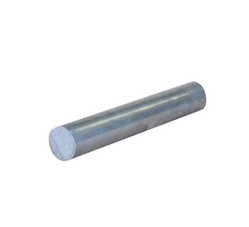 We are one of the leading manufacturers, suppliers, and exporters of high quality of SS 304L Round Bar to our valuable customers. These products are precisely designed and constructed by superior quality raw materials and sophisticated machinery. Our bars are highly appreciated for their seamless finish, rigid construction and abrasion resistance. As an esteemed name in the relevant industry, we are manufacturing and supplying a precision-engineered array of Stainless Steel Square. 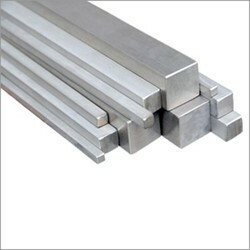 Our Stainless Steel Bright Bars division is engaged in the production and export of cold finished bright bars in the shape of Round, hexagon, square and flat in vast size range. 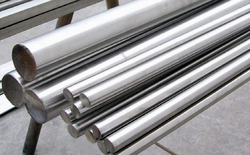 We manufacture bright bars in sizes ranging from diameter 3mm to 600 mm. This division has integrated in house facility for heat treatment, (annealing, solution annealing, hardening and tempering), pickling, straightening, peeling, drawing, centreless grinding, polishing and buffing etc. This division high quality bars with the help of modern testing facilities like ultrasonic tester and eddy current tester for testing both the surface as well as internal defects. The quality of the products is well accepted by the consumers. This has resulted into an excellent business relation with the international market. This division is equipped with state of the art continuous hardening and tempering furnace for the heat treatment of ferritic and martensitic stainless steel thus fulfilling the requirements of the most discerning and quality conscious customers. Apart from Austenitic, Martenistic and ferritic, we have also developed duplex, precipitation hardening and high sulphur – super machinability grades (Special calcium treated and finished with high sulphur material ideal for improved machinability). Keeping in mind the diverse requirements of our clients, we put forward a broad range of Equal Angle Bars. Extremely durable and rigid, these angle bars are broadly demanded at construction sites. Professionals serving our vendors manufacture these angle bars as per the global set standards from premium quality material and cutting edge technology. Being a quality-focused company, we assure our clients that these angle bars are properly checked on several parameters. 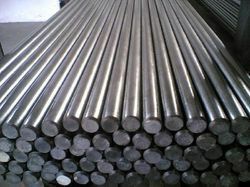 Our company has been acknowledged in offering Mild Steel Bright Bars to the clients. The offered bars are available in various specifications and designs to meet various needs of the clients. 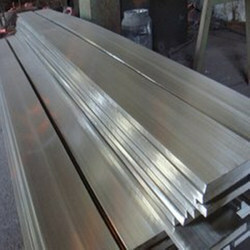 Our bars are highly appreciated by the clients due to their high finish and polish. Our range of bars is widely used in various industries. Clients can avail these bars from us at market leading prices. We are one of the leading manufacturers, suppliers, and exporters of high quality of SS 316 TI Bar to our valuable customers. These products are precisely designed and constructed by superior quality raw materials and sophisticated machinery. Our SS 316 TI Round Bar are highly appreciated for their seamless finish, rigid construction and abrasion resistance. 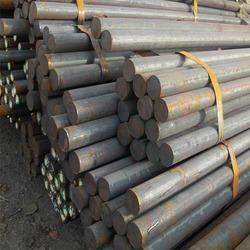 We are one of the reckoned names in industry for offering a wide range of Bright Steel Round Bars. In adherence with industry standards and names, these Bars are fabricated from premium quality raw material and sophisticated technologies. All our products we offer are free from rust and reliable in nature. Material Grade EN 8, MS IS 2062, SS 202, SS 304, SS 316 etc. 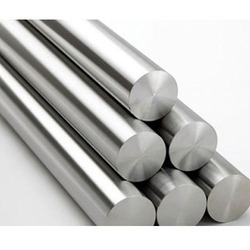 We are leading supplier of Stainless Steel Bright Bar in the industry.